Pharmaceutical Microbiology 2017 is scheduled with a vision of promoting the field of Pharmaceutical Biotechnology, is going to play its own role in the development of applicability of Pharmaceuticals as there will be an integration of outstanding and ingenious scientists with enthusiastic graduates from all the related fields. Microbiology is the branch of Science, Specifically biology dealing with the study of Micro-organisms, or life too small to be seen with the naked eye. 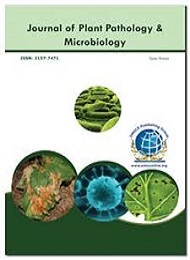 Microbiology covers several disciplines, including virology (study of viruses), bacteriology (study of bacteria), mycology (study of fungi), and parasitology (study of parasites). Each of these disciplines may include but is not limited to studies of infectious disease-causing microorganisms. Related Journals of Pharmaceutical Microbiology Pharmaceutical Microbiology: Open Access, Food: Microbiology, Safety & Hygiene, Archives of Clinical Microbiology, Applied and Environmental Microbiology, Journal of Clinical Microbiology, Molecular Microbiology, Clinical Microbiology Reviews, Microbiology and Molecular Biology Reviews, Applied Microbiology and Biotechnology. With members from around the world focused on learning about Pharmaceutical Microbiology and its advances; this is your best opportunity to reach the largest assemblage of participants from the Pharmaceutical Microbiology community. Conducting presentations, distributing information, meet with current and potential scientists, make a splash with new Microbial Technology developments, and receive name recognition at this 3-day event. World-renowned speakers, the most recent techniques, developments, and the newest updates in Pharmaceutical Microbiology are hallmarks of this conference. 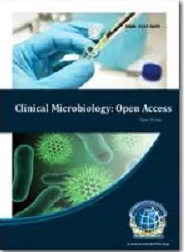 The global market for clinical microbiology is estimated at 6 727 290 000 dollars in 2014 and expected to grow at a CAGR of 13.03% between 2014 and 2019. The increase in the burden of infectious diseases and the increased funding for health costs are the main factors of growth in this market during the forecast period. The pharmaceutical applications segment accounted for the largest share of the microbiology market in 2014, while the segment of food applications is expected to grow at the highest CAGR between 2014 and 2019 in the global market of microbiology. The clinical microbiology market is segmented on the basis of products consumables and instruments. The consumables segment is further sub-segmented into kits and reagents. The segment of the instruments is divided into automated microbiology instruments, laboratory instruments and microbiology analyzers. Automated microbiology instruments are expected to grow at the highest rate of growth in the segment of instruments. Incubators are expected to grow at the highest rate of growth of the market for laboratory instruments. Mass spectrometers are expected to grow at the highest rate of growth in the segment of microbiology analyzers. In the consumables segment, the kits should represent the largest share and are expected to grow at the highest rate of growth during the forecast period. The segment respiratory diseases accounted for the largest share of the clinical microbiology market in 2014. This application segment is expected to grow at the highest CAGR between 2014 and 2019 on the clinical microbiology market. The geographic analysis revealed that North America accounted for the largest share of global clinical microbiology market in 2014. On the other hand, the Asian regional segment is expected to record a growth rate in double digits from 2014 to 2019, because of rising health expenditure in the region. The market for biomicrobiens has been successfully used to explain cooperative behavior in many animal species. Microbes also participate in cooperative behavior, both with hosts and other microbes that may be described in economic terms. However, a market approach is not traditionally used for analyzing these interactions. Here, extend the scope of the organic market to ask if this theory is helpful for evolutionary biologists study the microbes. Considering six economic strategies used by microbes to optimize their success in the markets. A framework for economic market is a useful tool to generate specific and interesting predictions about microbial interactions, including the evolution of discrimination partners hoarding strategies, specialized and diversified mutual services and the role of spatial structures as herds and consortia. There is an untapped potential for studying the evolutionary dynamics of microbial systems. The market theory can help to structure this potential characterizing the strategic investment of microbes through a variety of conditions.